This study of brass chamber music in lyceum and chautauqua fills a lacuna in brass history. 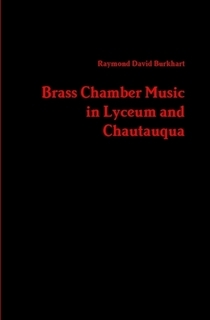 It explores the forgotten phenomenon of the many chamber brass ensembles that entertained millions of Americans from coast to coast from 1877 to 1939 and presents histories of sixty-one ensembles that performed music for brass trio, brass quartet, brass quintet, and brass sextet for lyceum and chautauqua audiences. The author also writes about the large repertoire of music for small brass ensembles that he discovered was published in America from 1875 through the 1920s. This First American Chamber Brass School is discussed in one of five overviews of the principal eras in brass chamber music history that form the most comprehensive history of brass chamber music written in fifty years. 2016. 6″ x 9″, 346 pages. Available in paperback and hardcover (perfect for private, public, and school libraries). 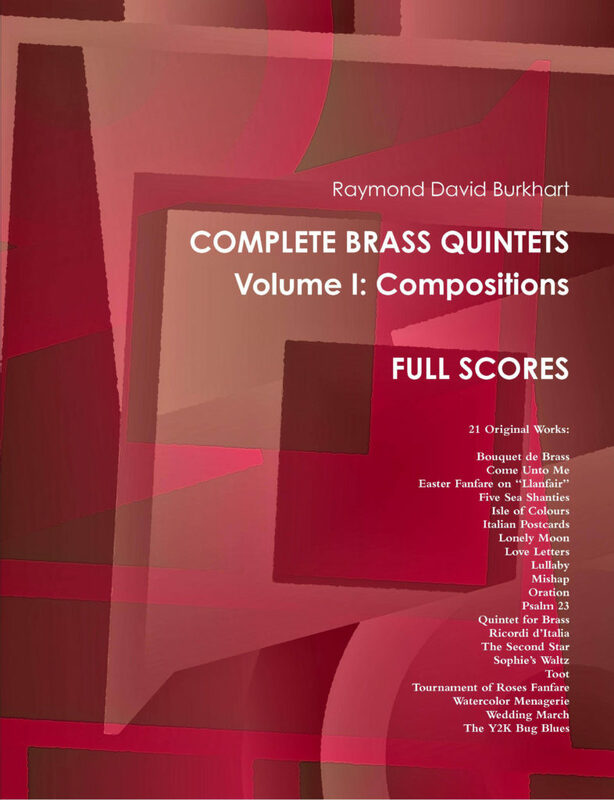 Twenty-one original compositions for brass quintet by Raymond David Burkhart. 2016. 8.5″ x 11″. Full score, 154 pages. Part books, 80 pages. The Full Score book is available in three different bindings: hardcover, paperback, and coil. Part books available in coil binding only: Trumpet 1, Trumpet 2, Horn in F, Trombone, and Tuba.